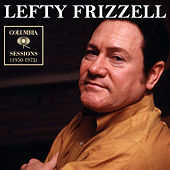 Lefty Frizzell (1928-1975) single-handedly changed the way country musicians sing Honky-Tonk. His innovative singing style is solely responsible for the long, drawn-out vowel inflections and smooth phrasing found in the songs of everyone from George Jones and Willie Nelson to George Strait and Randy Travis. Certain country enthusiasts believe he made the Honky-Tonk sound more accessible to a wider audience while still preserving the music's haggard soul. From his first single "If You've Got the Money, I've Got the Time," to his later hits such as "She's Gone Gone Gone," it's easy to understand why this man had such an impact on the singing styles of so many country music legends. At times, his voice sounded like a lonesome Dixieland horn, weeping along with watery pedal steel notes and soft acoustic strums. 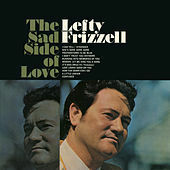 America's very first tear in a beer was probably the result of someone first listening to the lovelorn laments of Lefty Frizzell.